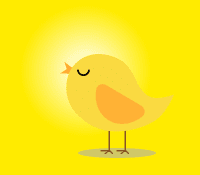 The summer is nearly here, and that means one thing: holiday. And when it comes to holiday, we all want to enjoy as much as possible. After all, the holiday is the reward we get for all the hard work we do during the year. Some earn more, some earn less, but almost all of us welcome the holiday season. For those that want to go over the top, we’ve picked out some of the most luxurious resorts all over the world. 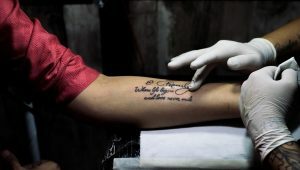 After all, we want you to enjoy and feel like you are in heaven. 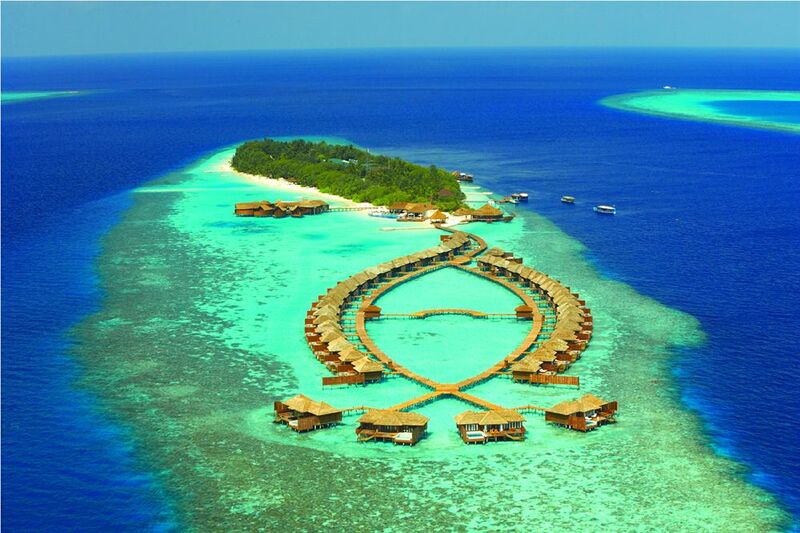 You would think that a luxury resort like this is designed for couples to spend their honeymoon. Well, you are wrong. The Reserve is designed especially to fit families, with swimming pool for children, and specially designed children’s area. All in all, your children will enjoy themselves without you needing to entertain them. What more can you ask for a stress-free holiday. The exclusivity of the resort comes from the fact that there are only 74 suites. Privacy is one of the biggest selling points, but the view tucked into a magnificent coral bluff does help as well. 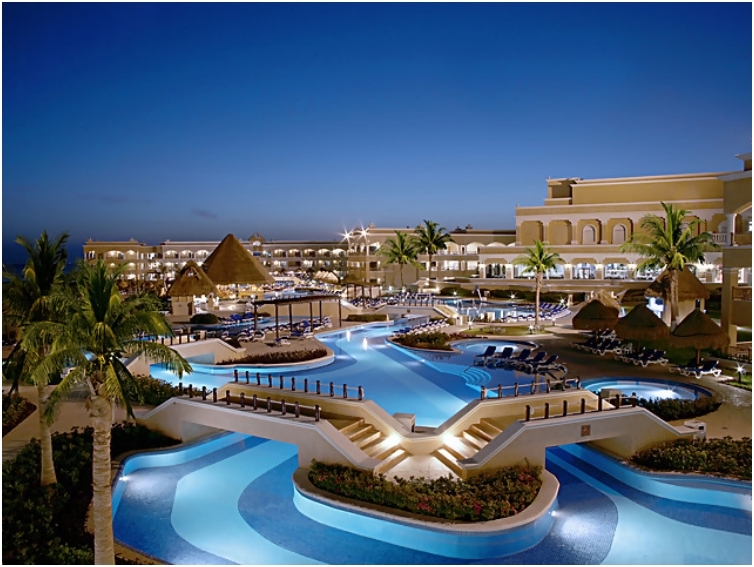 Whether you elect to spend your days lazing by the pool, or at the beach, the resort has you covered. The resort is a combination of retro and sophistication, mixing and matching, with special attention to details. 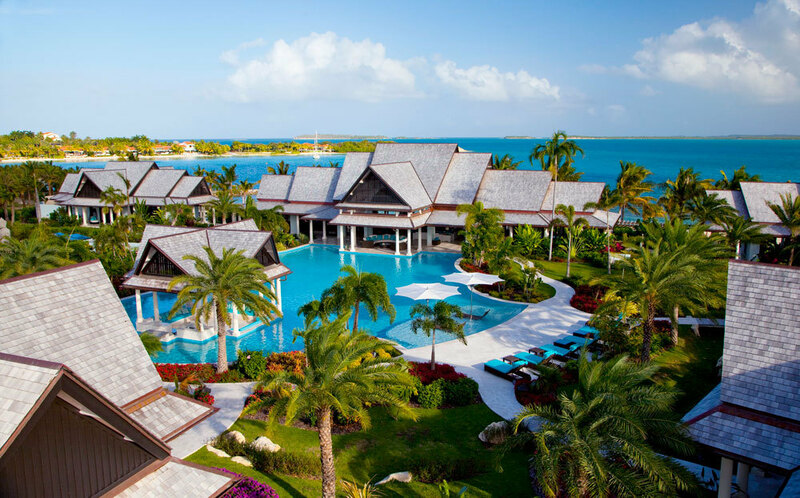 Sandals make the list again, this time with their resort on the Bahamas, which is an unprecedented luxury. The idyllic waters of the Bahamas will welcome you with open arms, and the resort will make you feel like you are the last man on Earth. Again, privacy is a huge selling point, as you will feel you are in a privileged enclave. 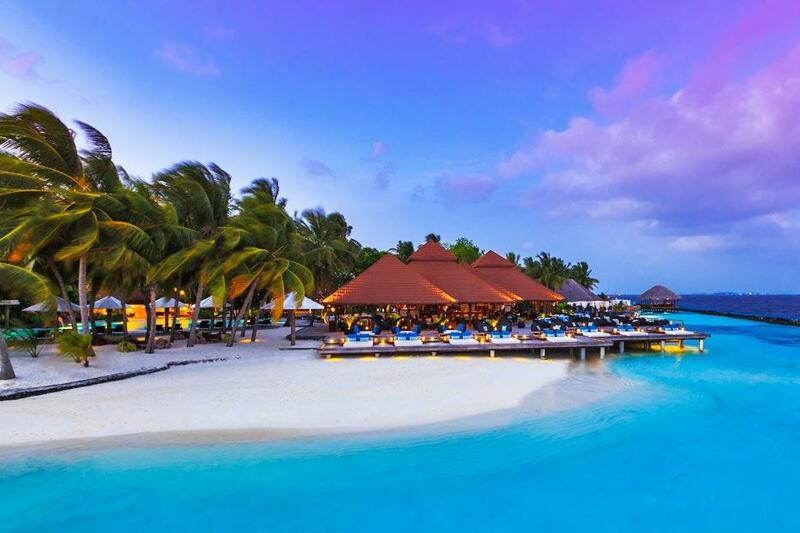 Located close to the most famous diving points at the Maldives, the Lily Beach Resort and Spa is the perfect place to experience the full beauty of the Maldives. The pristine beaches and the lush tropical vegetation complete the experience, and the resort offers you an exotic house accommodation, just next to the shore. The hotel is located on the Caribbean coast, with the exclusive resort offering chic interior and exterior. The best part is the hotel is closely positioned to almost every popular spot, including the Rose Hall Lighthouse, Rose Hall Mansion and Half Moon Golf Course. And once inside your bedroom, you will feel the full luxury treatment of a five star hotel. The main selling point of the resort is the gourmet restaurant, where you can experience authentic cuisine at its best. Built from sustainable materials, the hotel has a certain retro and vintage vibe, but you can expect luxury at its best. The hotel is positioned in a way you overlook the sandy beach, and with the suites set in private cottages, you can enjoy your privacy and time. 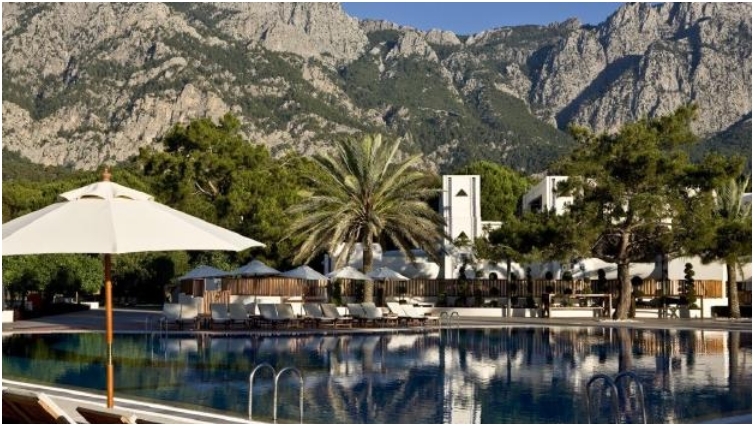 Kemer is the most luxurious place in Turkey if you want a five star hotel experience, and the Club Med Palmiye is one of the best for that. 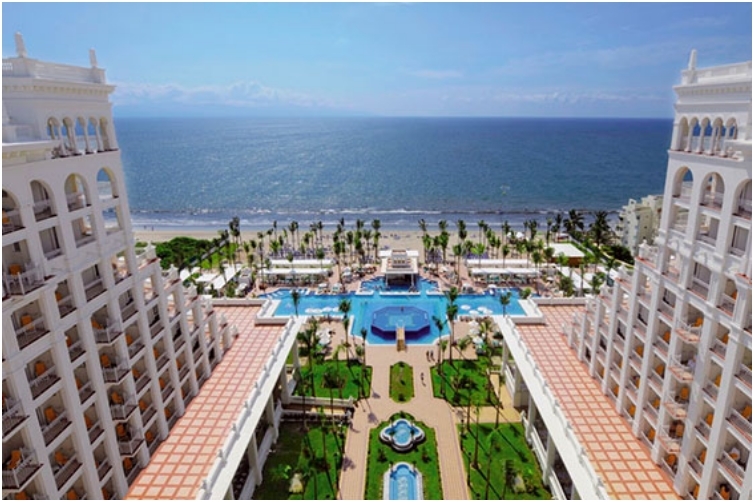 A modern building, the resort is positioned very close to the beach and has a garden that will make you love it even more. The rooms are done in a more conservative style. The Caves hotel has one of the most breathtaking views in the world. 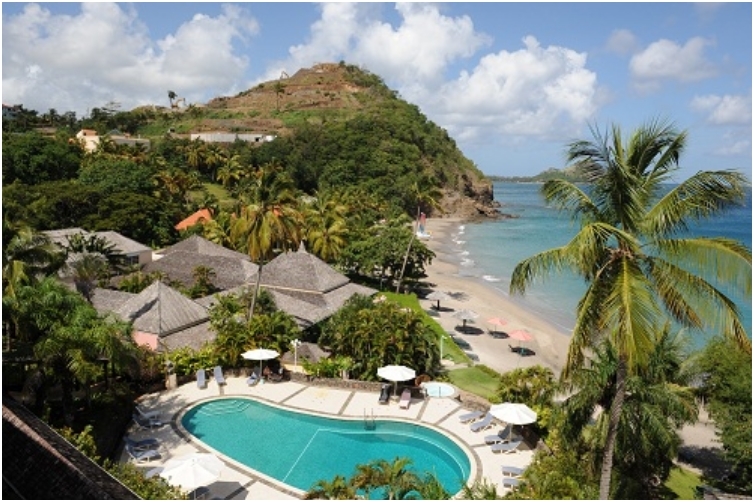 Positioned on a cliff and overlooking the Caribbean sea, the hotel offers a more traditional experience. 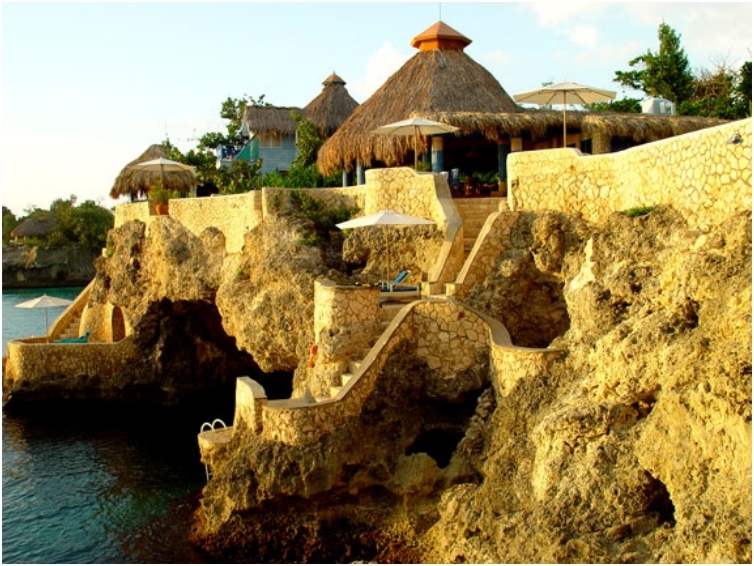 With cottages for accommodation, you will feel a little bit of the natural and traditional vibe in Jamaica. 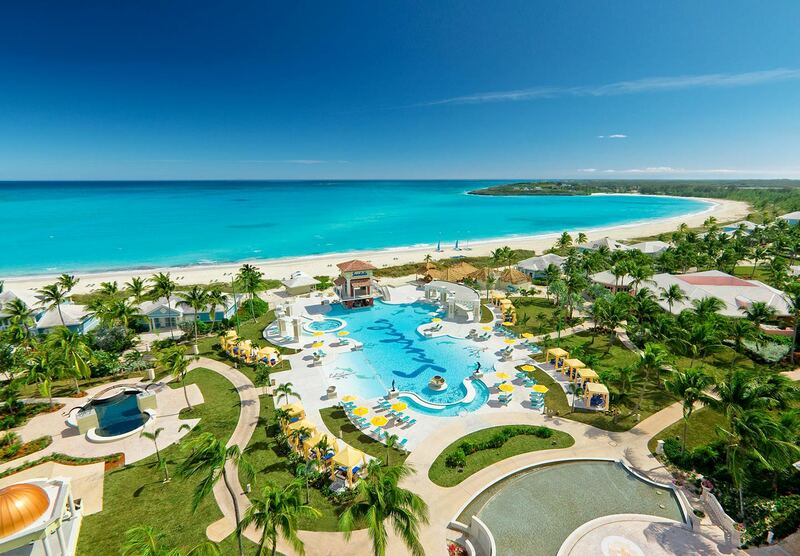 You might say that I love the Sandals resort, and that I am biased. 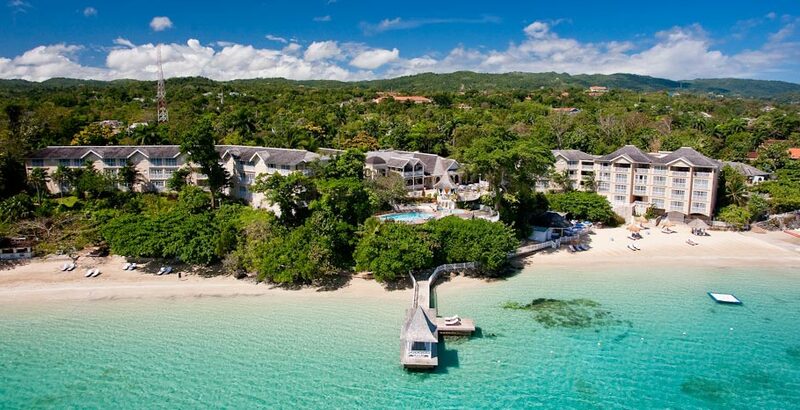 But the truth is, the Sandals are just one of the best resorts, and they have a hotel on all exotic places, Jamaica included. 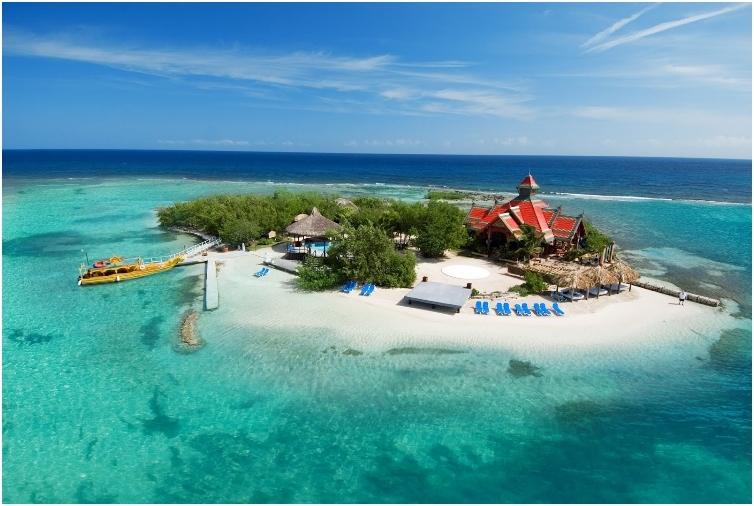 Their Sandals Royal Caribbean is located just minutes away from the private offshore island on Jamaica. 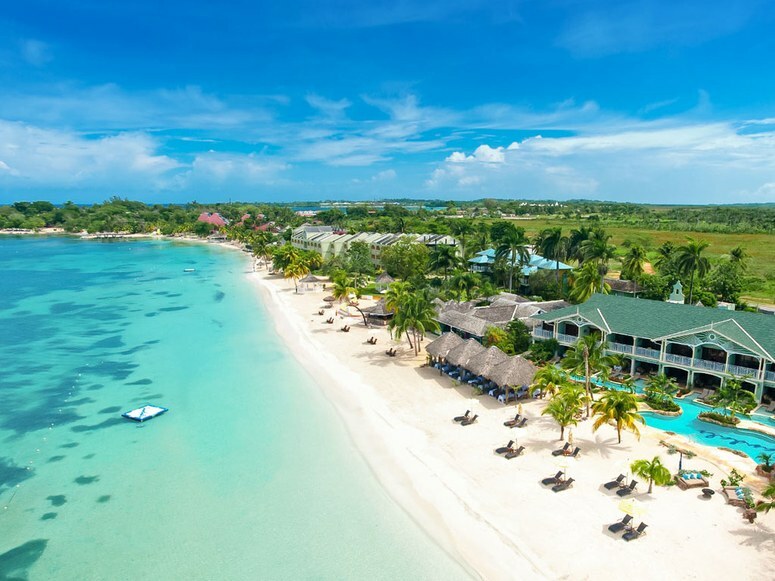 If you want to experience the mysteries of the Orient, Sandals is the place to go. Located between the ocean and the river, Salinas offers a laid-back experience for pure enjoyment. River views are free of charge, and the best part is the hotel is children friendly, as kids under the age of 11 can stay for free, as long as there is an adult with them. When in Mexico, go Mexican. At least that is the pure experience of Mexico. However, not many people can stand the chilly Mexican cuisine, and for those people, Le Blanc is the perfect alternative. 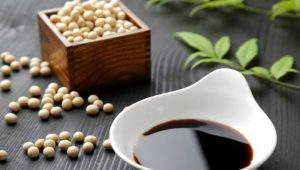 With international cuisine a huge part of the kitchen, you can eat without fear. The only downside is that the resort if adults-only, so leave your children at home. This place lives to the motto “only the best”, as everything is top notch. You want great restaurants? Checked! Spa and workout area? Checked! Friendly and professional room service? Checked! Spectacular architecture? Checked! All that is left for you to book a trip down to memory lane! 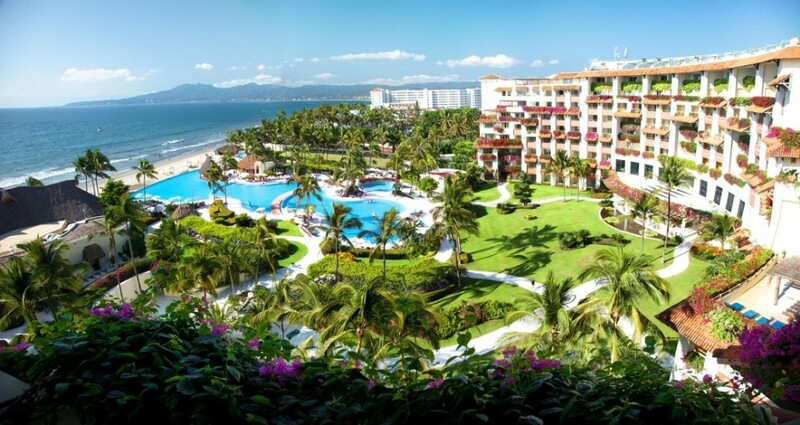 If you want to bring your kids to Mexico, few places offer an entertainment and activity program as rich as Grand Velas. 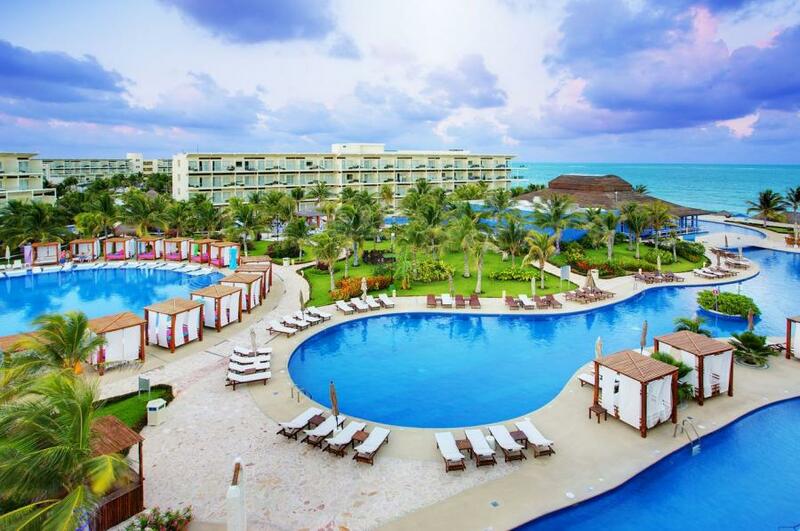 The luxury suite all inclusive resort is positioned just a mile from a water park where both you and your children can enjoy. And when it comes to the rooms, they are as sleek as possible, with all complimentary equipment you would expect from a five star hotel. We had Club Med in Kemer Turkey, but if you want to go to a more exotic place, and still reap the benefits that come with staying at the Med, Egypt is always a good option. 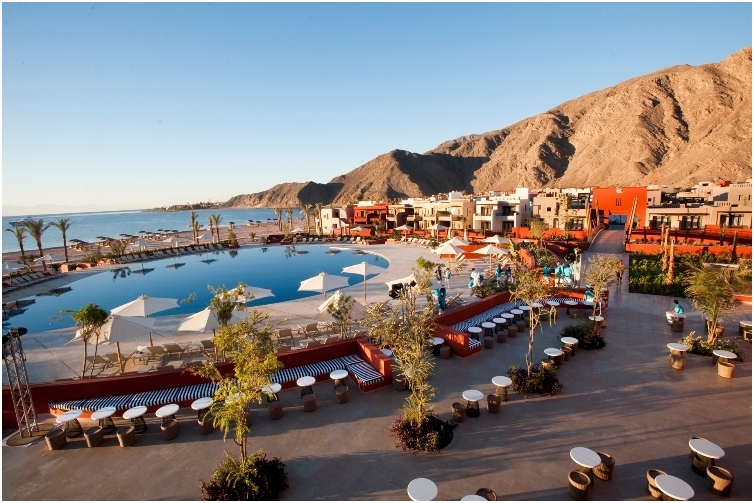 Located in the luxury resort of Sharm El Sheik, the resort offers both domestic, and international cuisine, which is a key factor when visiting Egypt. Quiet volcanic beaches, reef-diving sites, and rainforest interior, the BodyHoliday offers spectacular experience on the Caribbean coast. The rooms are done in a more traditional way, with some hardwood furniture. But they are bright and clean, and while there, you can enjoy some yoga, tai chi, archery and tennis as sports activities. There is no shortage of options for dining, as there are 10 restaurants and 8 bars at the resort. Two of those bars are positioned at the swimming pool, where you can enjoy yourself inside the pool and drink some cocktails. And once you decide to leave the resort a white sand beach will welcome you. The hotel is also closely positioned to the famous Ardastra Gardens zoo. Cayo Santa Maria is a small island located on the north side of Cuba. And the Royalton offers you decent prices for a luxury stay. Cuba is still considered a communist country, and while the prices are low, you should visit and take advantage of it. The beaches are just stunning. Most hotels on the Maldives are couples friendly, but there are also those that are children-friendly. 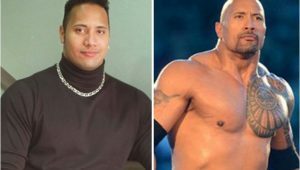 Count Kurumba in the latter. With a kid’s club and a dive school, the resort will make sure your kids are well entertained, so you can enjoy the white-sand beaches stress-free. 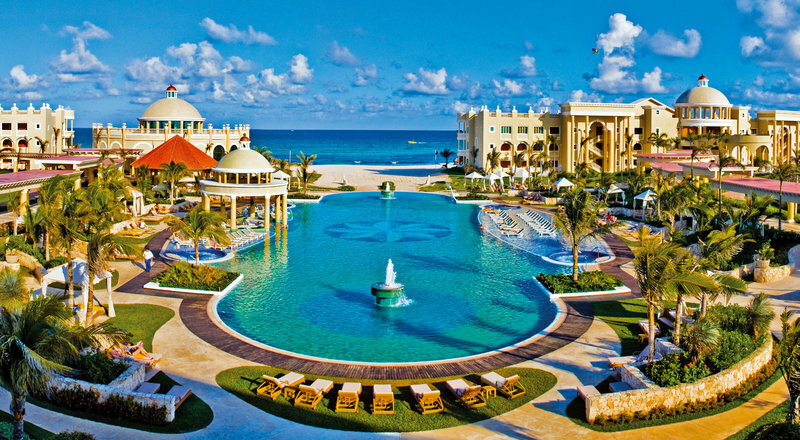 Again, Iberostar is an adults-only hotel, no matter the location. 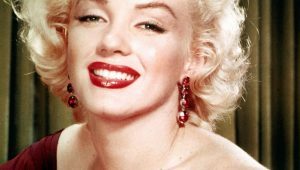 The same applies for the resort in the Dominican Republic, which is located just three miles from the Astron shipwreck, one of the landmarks. The rooms are luxurious, with a Jacuzzi in the bathroom and sophisticated furniture in the living area. 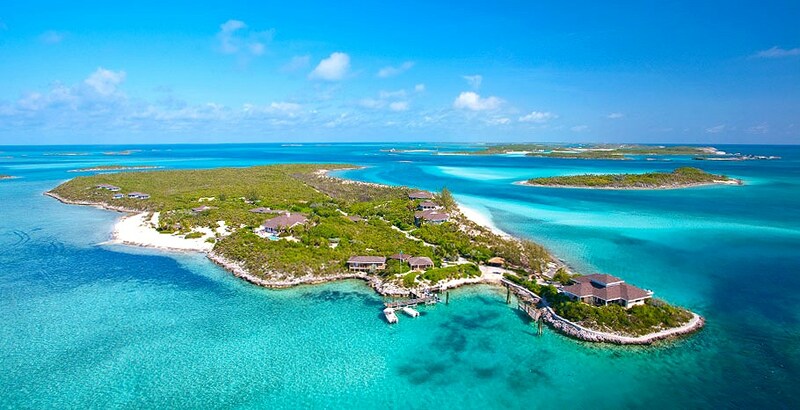 There are only six villas at the entire island. The privacy is second to none, as you have an entire island only for you. No crowds, no ships, no anything that can stress you. The only task you have is to enjoy and explore the wilderness. 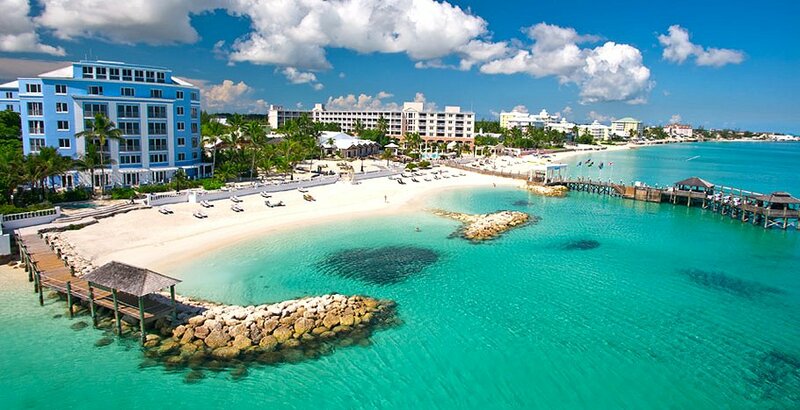 Don’t worry, you won’t get lost in the Bermuda triangle on your way to the resort. Jokes aside, the oceanfront spa hotel has refined rooms that offer ocean view. Some of the rooms have separate bedrooms for your own convenience. 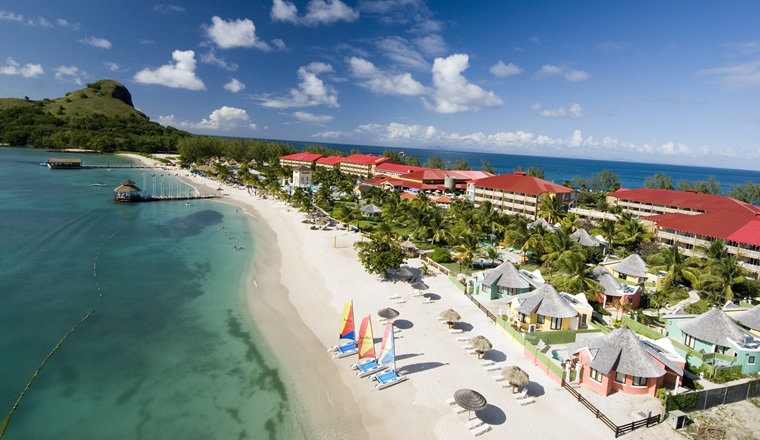 Sandals have several resorts in Jamaica. The difference here is that this resort is couples-only, making it excellent for honeymoon. The décor of the rooms resembles British Colonial style, and are equipped with some high-tech amenities like iPod docks. If you want to take things to the next level, you can pay for a private butler. The service of the hotel is one of the most respected in the hotelier industry. Breakfast is complimentary, and is still one of the best you’ll find in Mexico. 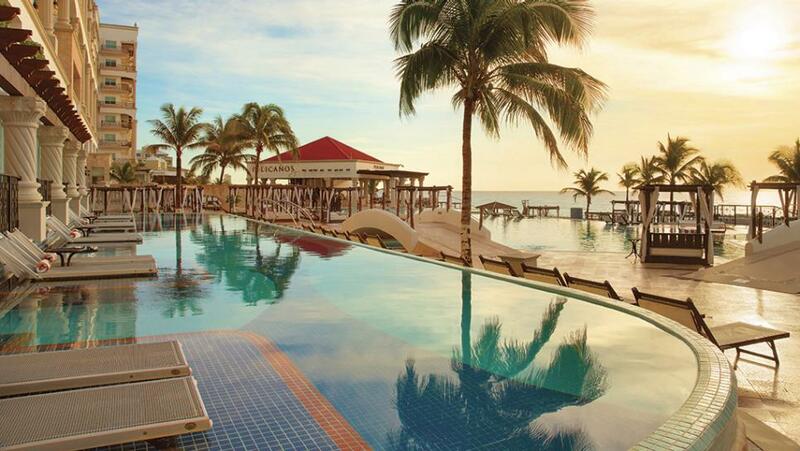 The hotel is located on the beachfront between the Caribbean Sea and the Nichupte Lagoon. You want privacy for your money? We give you privacy! 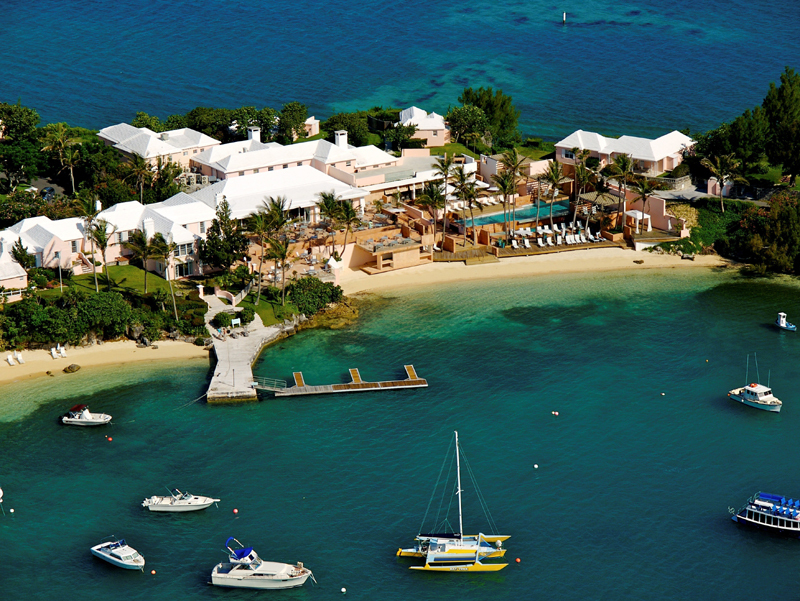 Jumby Bay is located on a private Caribbean island that you can access only by boat. Once you get there, you are welcomed by elegant rooms. For extra money, you can get your own private infinity pool. Another adults-only resort on the list, but this one is different from Iberostar in the design of the interior and exterior. With a more laid-back and natural-friendly interior, the resort offers rooms with terraces with breathtaking sea views. 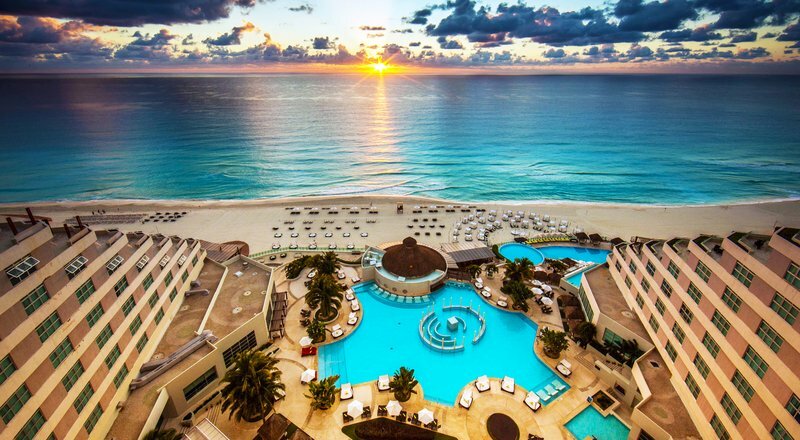 The hotel has its own private beach, in case you don’t want to mingle with the crowd in Cancun. 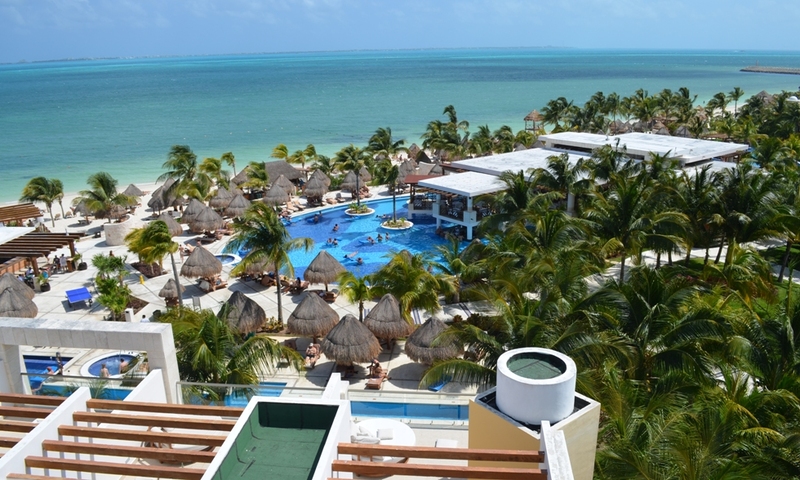 Playa Mujeres is one of the best in Mexico because of its close proximity to the Mayan ruins. If you want to visit Mexico and enjoy in something more than great beaches on the Caribbean Sea, Playa Mujeres is the place to go. And when it comes to hotels, Excellence is among the best. The name itself suggests so! There are some private outdoor pools for your convenience, and seven restaurants to make sure you find cuisine you like. 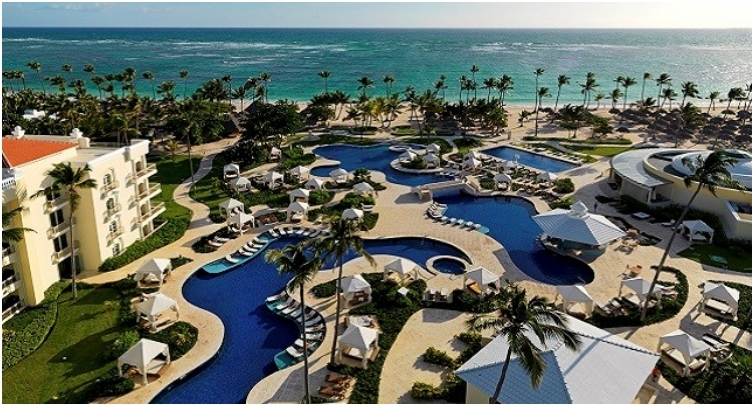 Couples, families, friends, all of them are welcomed in the resort that is located on the Seven Mile beach, one of the most famous in the world. 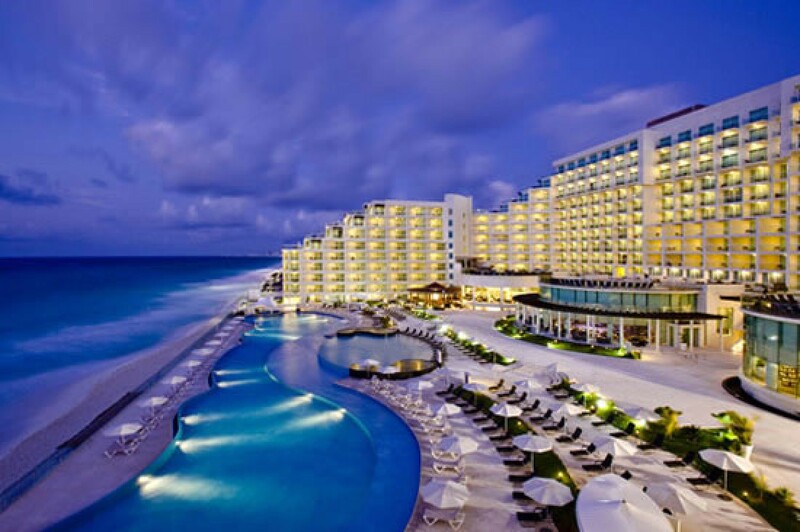 The hotel offers 136 suites, all with an ocean view and contemporary interior design. For couples, there is a special section to enjoy their honeymoon. Usually luxurious resorts are associated with glamorous interior, but that is not the case here. 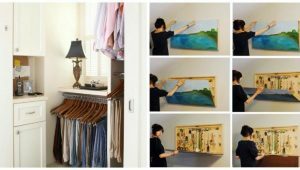 In fact, a minimalist style dominates the interior, with rooms more spacious, and only the bare necessities in. There are private pools for those that value their privacy, and the breakfast comes free of charge. 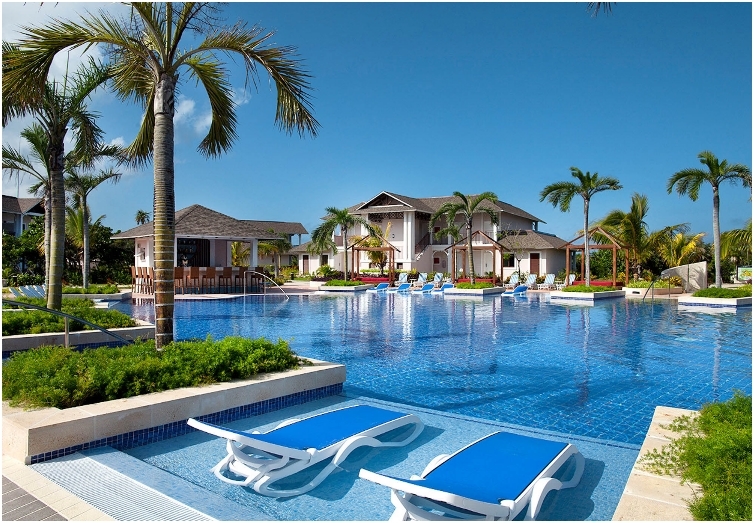 Another couples-only Sandals resort. As I’ve mentioned previously, some Sandals resorts are couples-only, others are open to all. This resort, in particular, is famous for its restaurants and bars that offer something for everyone. There is even an English-style pub where you can enjoy different bears. 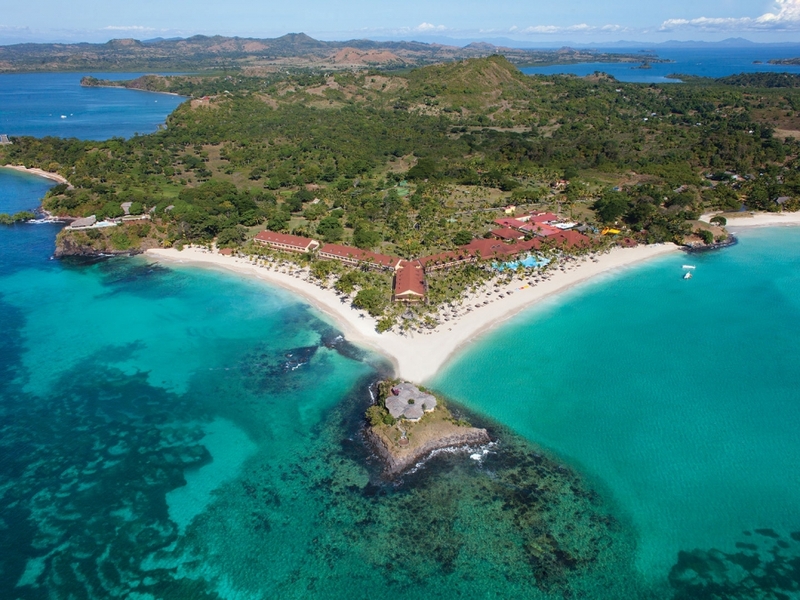 For those that want to explore the nature, the resort is in close proximity to the Pigeon Island National Park. We haven’t had many European resorts on the list, but it is time to visit Italy, and this luxurious and in the same time rural hotel. 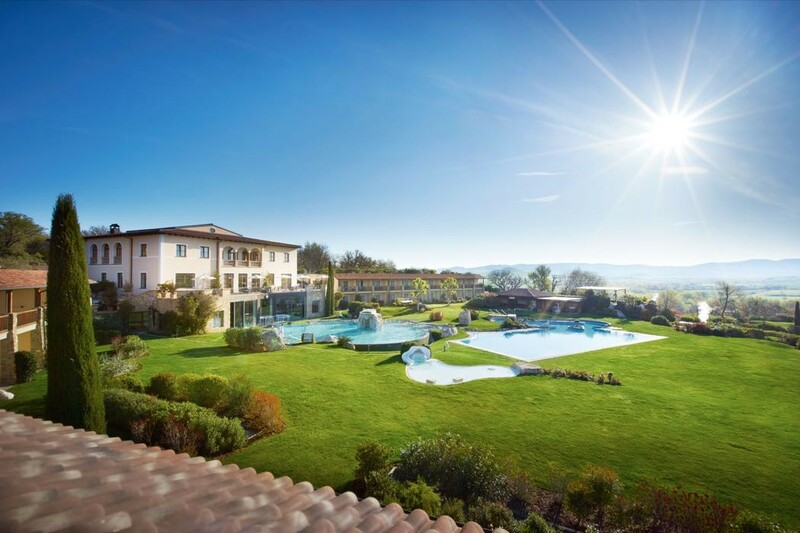 The hotel is conveniently located to two famous landmarks, the Montalchino vineyards and the Abbey of Sant’Antimo. Some rooms include equipment for preparing your own authentic and genuine Italian coffee. 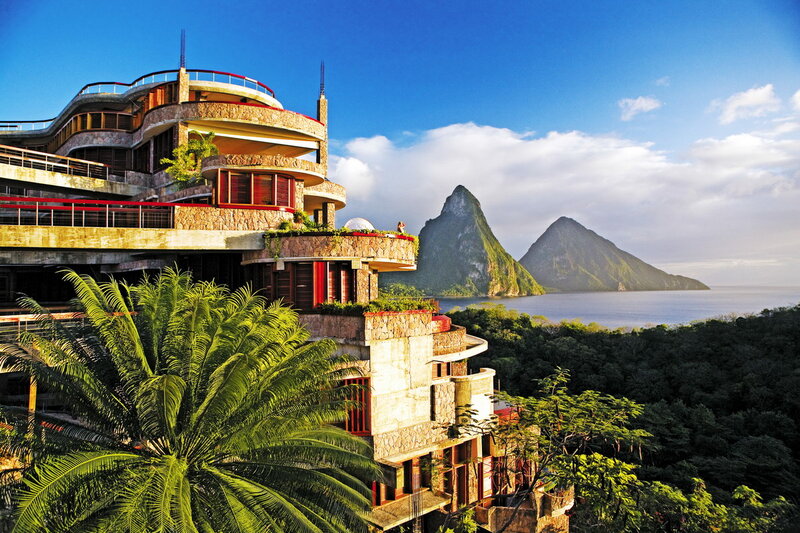 Dubbed the most romantic luxury resort in St. Lucia, Jade Mountain is located on 243 hectares of lush tropical hillside. The resort is the perfect epitome of “harmony with the nature”. The man responsible for the hotel is architect Nick Troubetzkoy, who is also the owner of the resort. Colors will be everywhere around you, and if you want privacy, all spa services can be enjoyed in some of the sanctuaries of the resort. Elegant, simple, and sophisticated. Those are the words you’d use to describe this white building hotel. But inside, the vibrant life of the hotel will keep you on your feet during your entire stay. The only downside is that there is no air-conditioning in the rooms. As for food, the six restaurants of the resort offer international cuisine, as well as domestic choices. 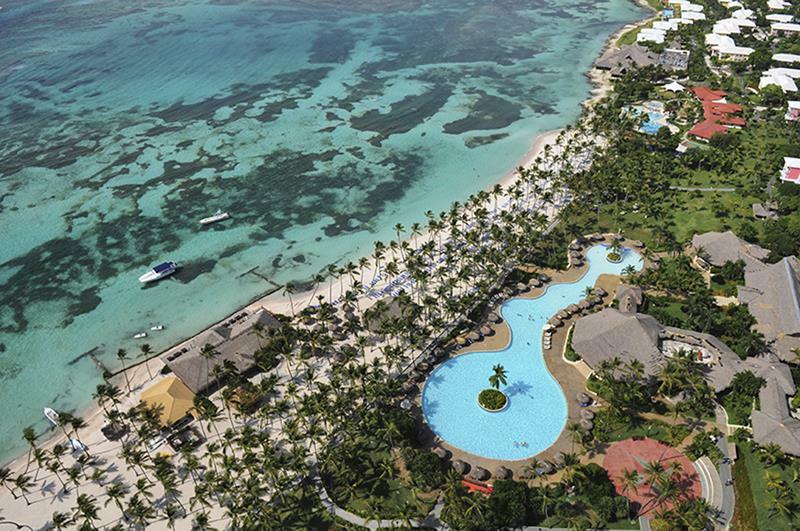 Club Med makes its third appearance on the list, this time with the resort in the Dominican Republic. The resort is located just few miles of the Indigenous Eyes Ecological Park. 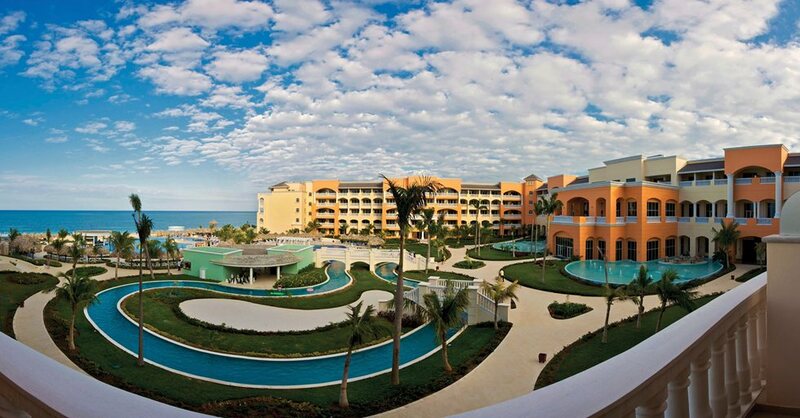 With more than 600 rooms to choose from, the resort offers something for everyone. Most of the rooms come with terraces, and some even have a separate sitting area. Right at the end, I want to take you to Madagascar, an island that got famous thanks to some of the animated movies. I don’t think there is a person alive that hasn’t seen the animated movie. And the Andilana resort is a place where even the most demanding travelers will be satisfied. Meals are complimentary, and they are included in the experience. The hotel is not on the beach, but you’ll need just five minute walk to get there. 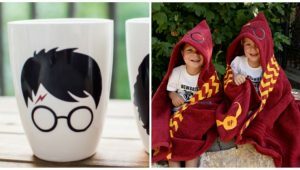 The downside is that the resort is adults-only, so you’ll need to come without your kids (if you have).